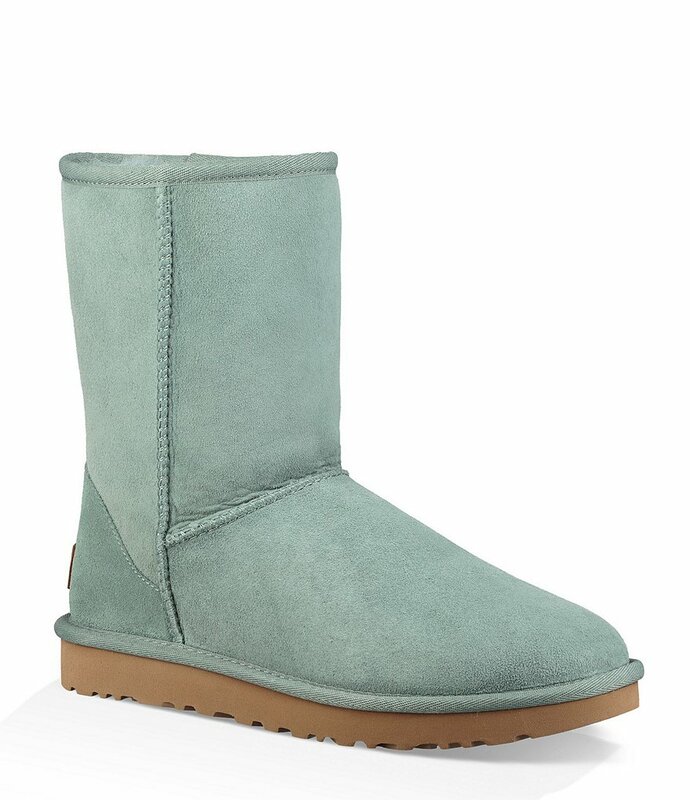 The UGG Classic Short II Suede Boots in Sea Green feature two new updates: stain-and-water resistance and a lightweight sole to increase cushioning, durability, and traction. 8″ shaft height. $160. Buy here. 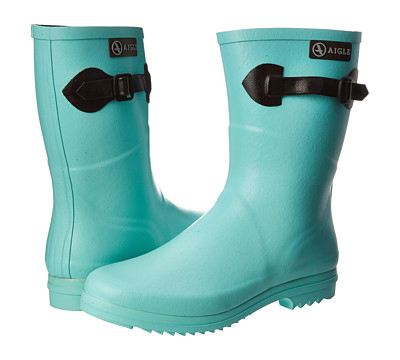 Combat dreary weather with with these Turquoise London Fog Thames Waterproof Rain Boots. 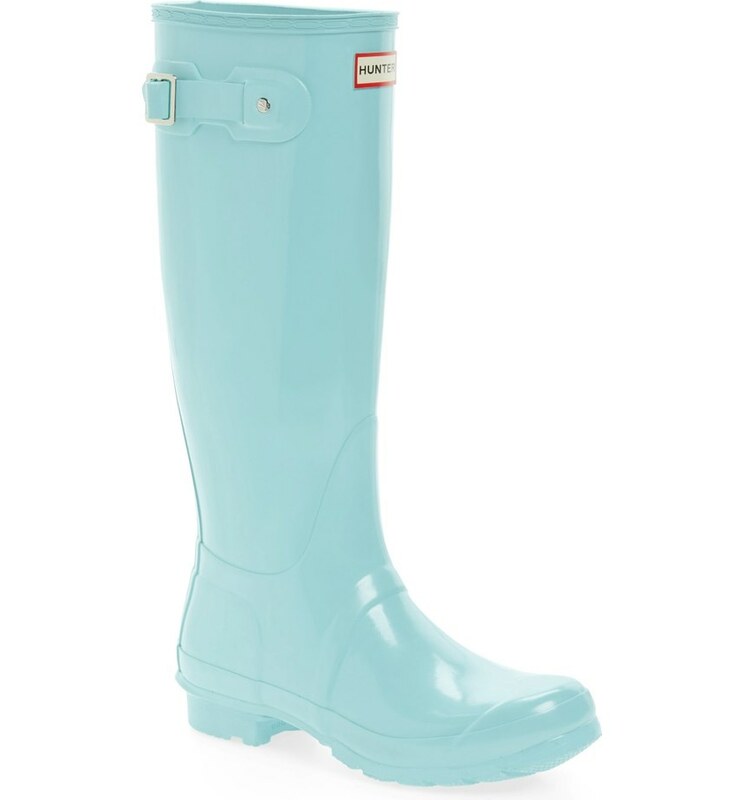 Features waterproof knee high style and treaded sole, rubber upper & outsole with cotton lining. $79. Free shipping. Buy here. The UGG Classic Short is an icon of casual style. Now pretreated to protect against water and staining, this luxurious sheepskin boot has also been updated with the Treadlite by UGG™ sole, which provides increased cushioning, durability, and traction. $160. Free shipping. Buy here. 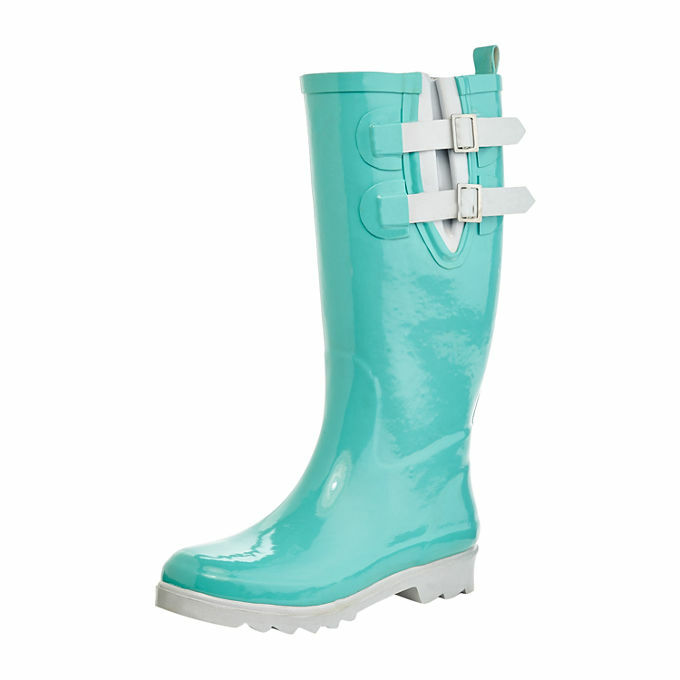 Brighten rainy days with these Henry Ferrera Black Stone Womens Rain Boots in aqua. $59.99. Buy here. 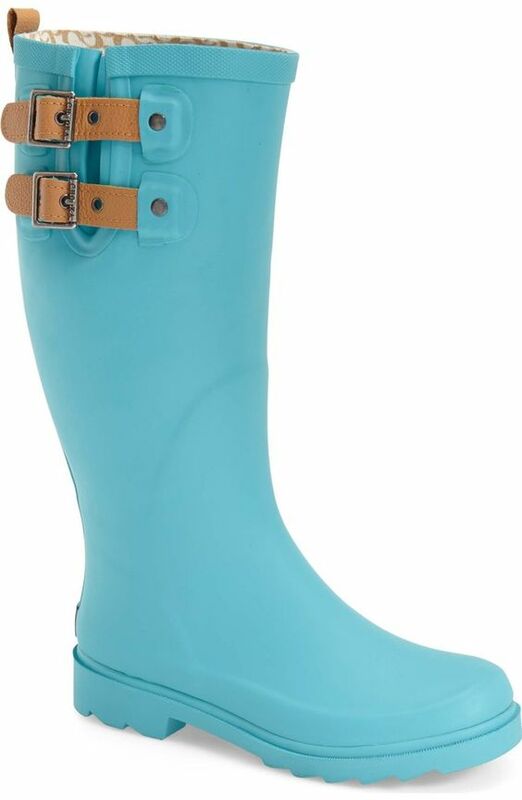 Leather straps adjust the shaft of this puddle-proof Chooka Top Solid Rain Boot designed with a moisture-absorbing lining and sturdy sole. $69.95. Free shipping. Buy here. Whatever the day brings, these UGG Sienna Mid Calf Rain Boots help keep your feet warm and dry while keeping style at the forefront. Features molded insole lined with 7mm curly UGGpure wool. $65 Sale $39.97. Buy here. 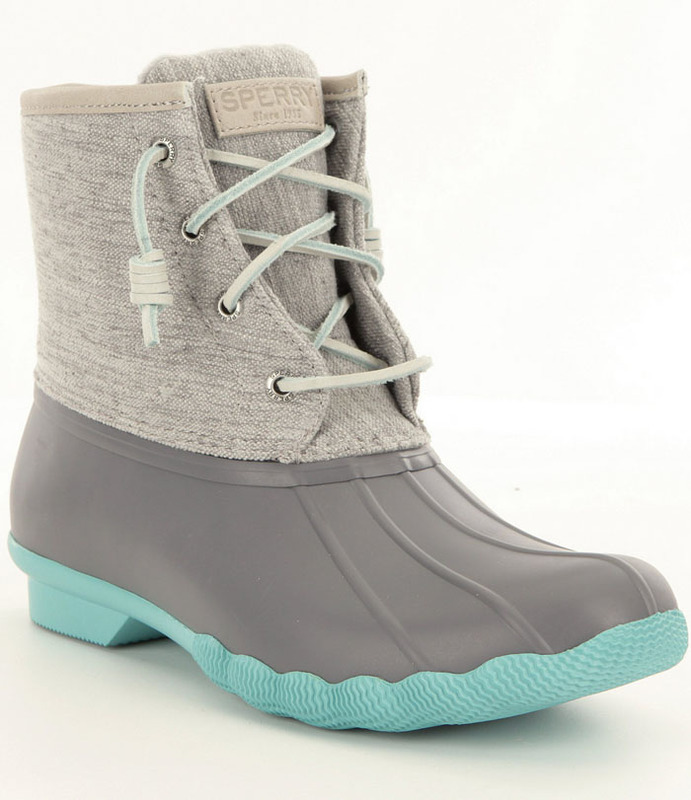 From Sperry, the Saltwater Turquoise Pop-Outsole Waterproof Cold-Weather Duck Boots feature a matte rubber and premium hemp fabric upper, rawhide lacing and micro fleeced lining that provides warmth under foot. $120 Sale $90. Free worldwide express shipping. Buy here. ThisÂ UGG Mini Bailey Button Bling Boot is the favorite short boot updated with a twinkly Swarovski crystal button at the shaft. The soft, cozy lining is made from genuine shearling or plush UGGpure, a textile made entirely from wool but crafted to feel and wear like genuine shearling. Either version keeps feet warm and comfortable, whatever the weather. $184.95. Free shipping. Buy here. 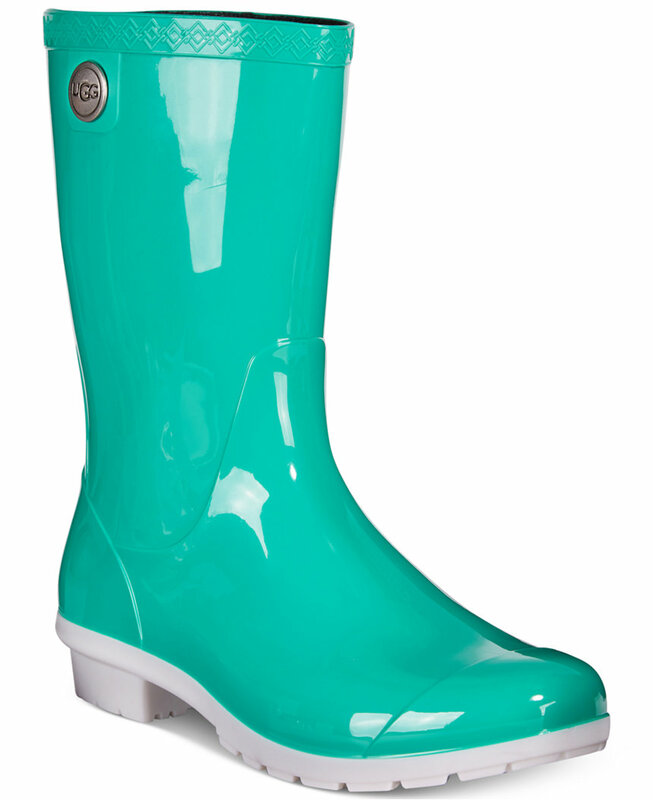 Comfort and quality combine in this glossy, water-tight rubber Hunter Original High Gloss Boot in Pale Mint finished with a traction-gripping sole. A subtle tonal design circles the top, while an adjustable buckle at the side adds interest. $150. Free shipping. Buy here. This Ugg Bailey Button Boot is updated with a crystal-buttoned shaft that can be cuffed for a cute variation on the look. The supersoft lining is made from genuine shearling and plush UGGpure, a textile made entirely from wool but shaped to feel and wear like genuine shearling. $199.95 Sale $89.98. Free shipping. Buy here. 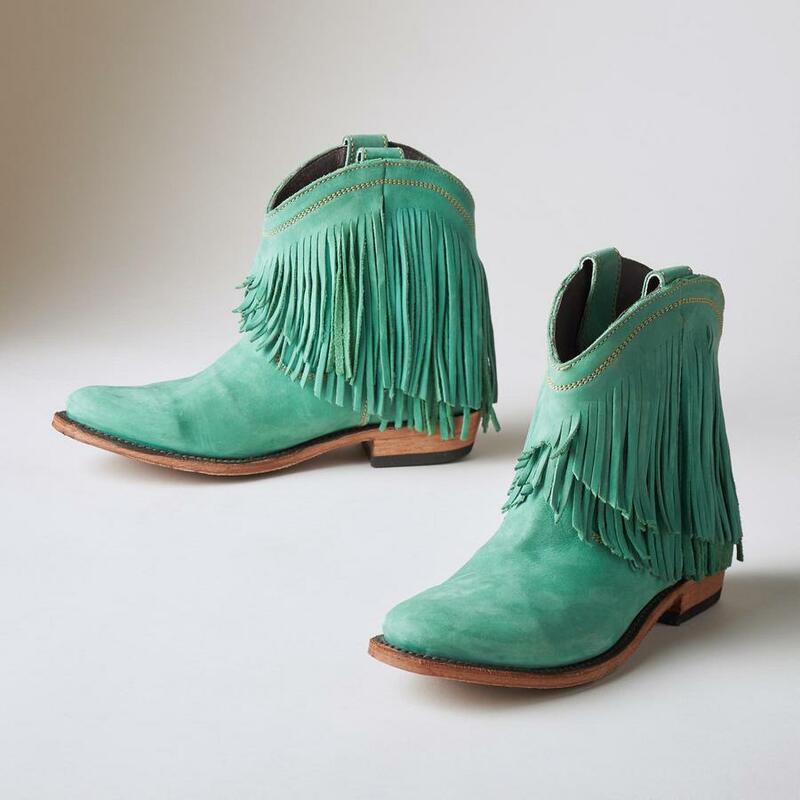 These Turquoise Santa Fe Fringe Boots are short and sassy leather ankle boots, deeply fringed below a curvy topline. The fresh and flirty Western choice. Distressed leather, leather sole and chunky heel. Handcrafted by Liberty Black. $250. Buy here. 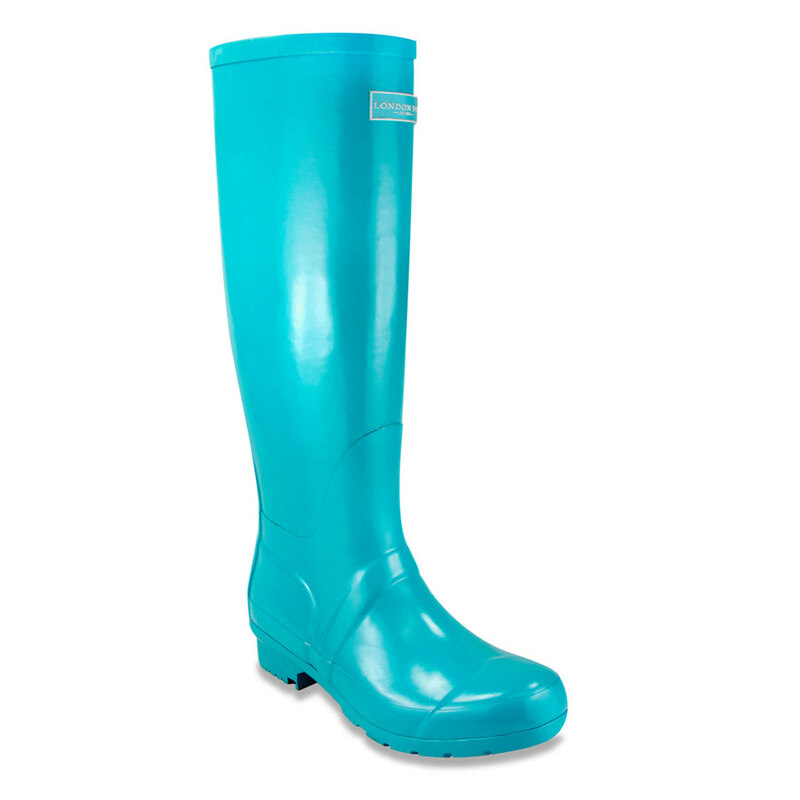 Leather straps adjust the shaft of this puddle-proofÂ Chooka Turquoise Top Solid Rain Boot designed with a moisture-absorbing lining and sturdy sole. $69.95. Free shipping. Buy here. 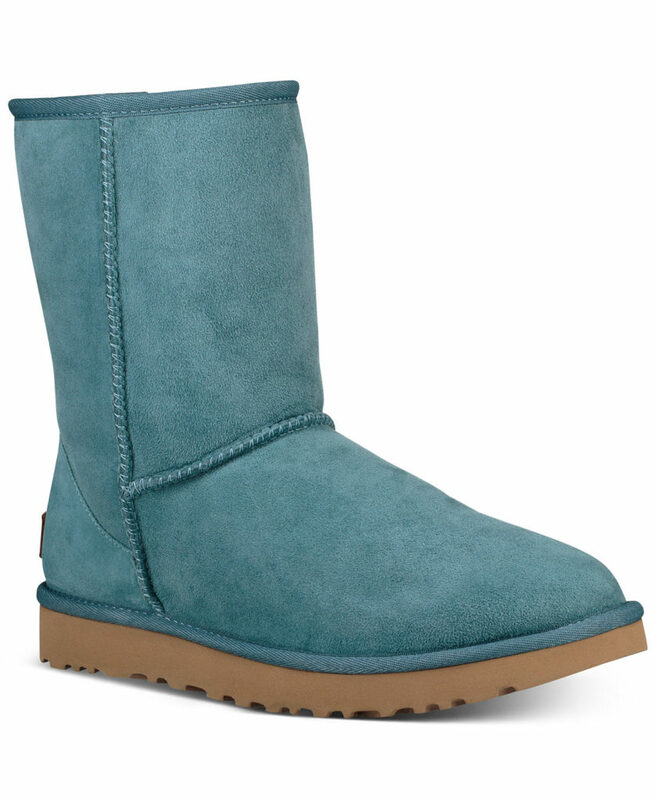 This Deep Teal UGG Australia Bailey Button-Oranate Boot updated with a crystal-buttoned shaft that can be cuffed for a cute variation on the look. The supersoft lining is made from genuine shearling and plush UGGpure, a textile made entirely from wool but shaped to feel and wear like genuine shearling. $199.95. Free shipping. Buy here. 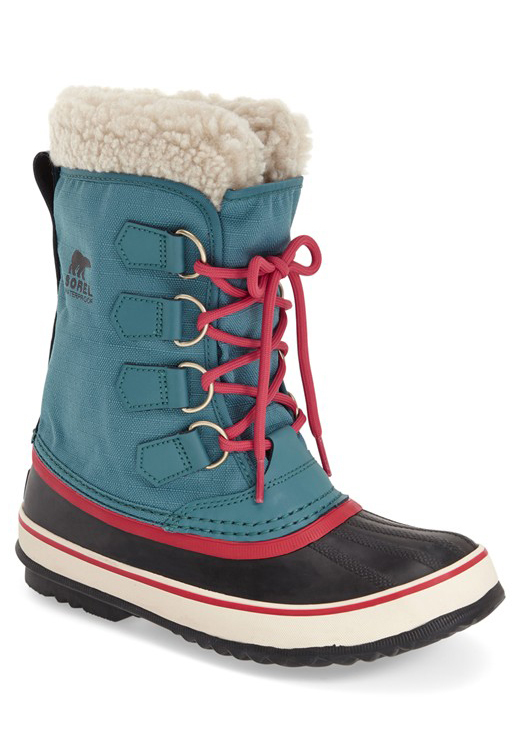 A removable felt-and-faux-fur lining offers extra insulation for freezing winter outings in this waterproofÂ SOREL Winter Carnival Boot that’s as playful as it is durable. $129.95. Free shipping. Buy here. Geometric embroidery lends contemporary flair to a go-to Merrell Silversun Lace-Up Waterproof Boot topped with a warm, fleecy cuff and set on a durable M-Select ICE GRIP soleâ€”so you stay dry and surefooted on icy streets and snow-packed trails. $169.95. Free shipping. Buy here. 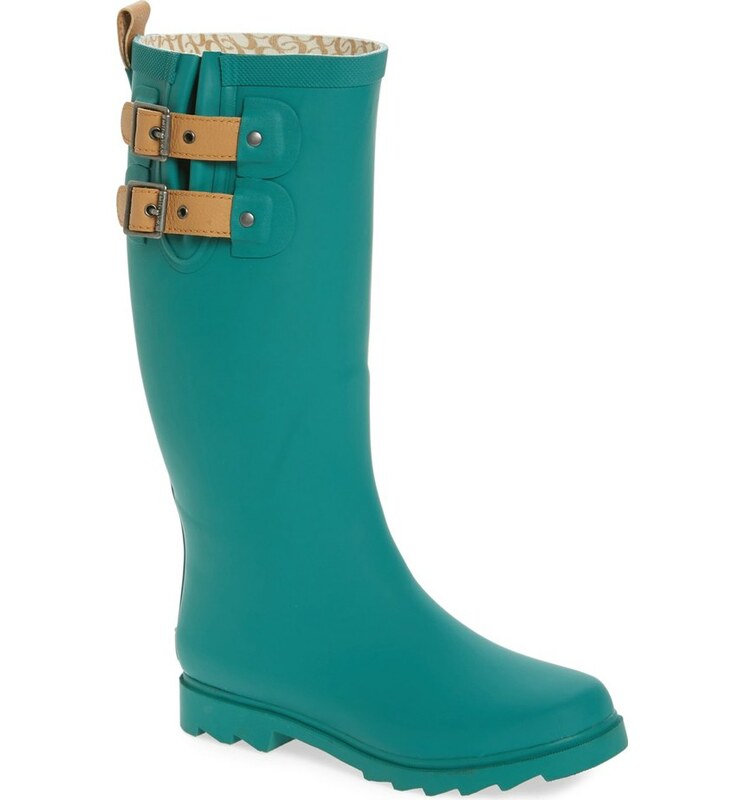 Take on those wet-weather days with comfort and ease in the AIGLE Chanteboot Pop Rainboot. Handcrafted in France, this lightweight, women’s-specific rubber boot features high-quality natural rubber construction, adjustable calf strap and polyamide knit lining that is quick drying and features Sanitized odor-fighting treatment. $189. Free shipping. Buy here. 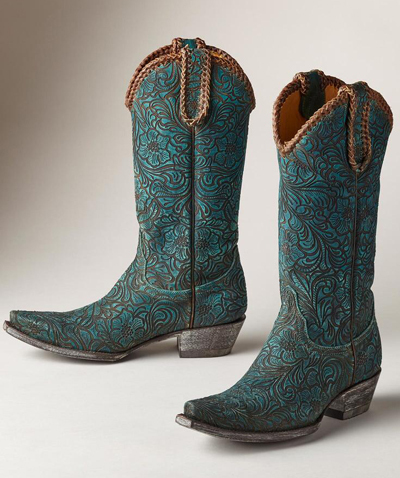 Opulent, tooled bougainvillea vines in antiqued turquoise with whipstitched details celebrate the spirit of the Southwest in these handmade Cassidy Boots by Old Gringo. $498. Buy here.